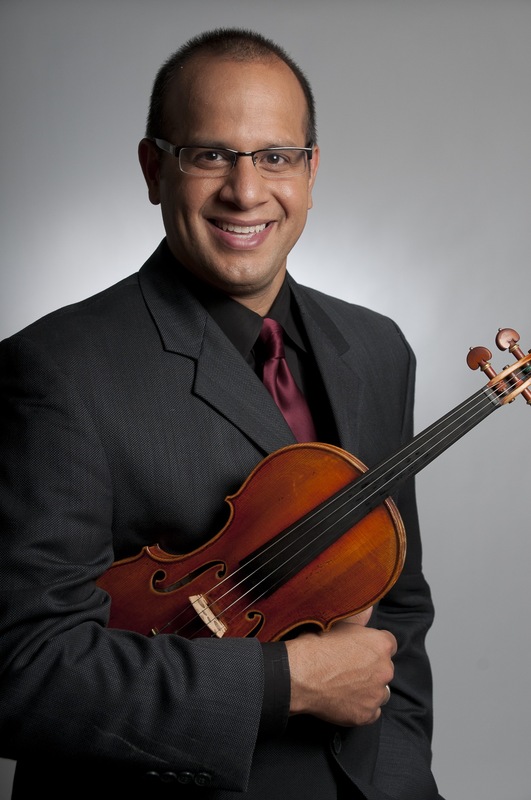 Violinist Carlos Rubio began his musical career as a member of Venezuela’s famous Youth Orchestra System (“El Sistema”) and later joined the Simón Bolívar Symphony Orchestra with which he toured extensively throughout the Americas, Europe, and Asia. Carlos is a founding member of the Dali Quartet, an internationally touring string quartet of all Latino artists. He is a grand prize recipient in the Spanish and Latin American Music Competition at Indiana University Jacobs School of Music and was distinguished as the Ohio Latino Arts Association’s Performing Artist of the Year. Mr. Rubio has soloed with the Middletown Symphony, the Illinois Philharmonic, and the Oxford Chamber Orchestra. His chamber music partners have included clarinetist Ricardo Morales, pianists Alessio Bax and Pamela Mia Paul, cellist Marc Johnson of the Vermeer Quartet, the Colorado, Penderecki, DaPonte and Amernet string quartets. Carlos has recorded with Dorian and Naxos labels.